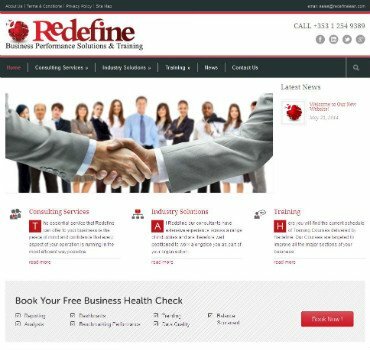 We were commissioned to deliver a new Website Design for Redefine. Based in Dublin, they are ideally positioned to serve SME and corporate clients nationwide. Redefine Consulting Ltd. are Management Consultants specialising in Lean Six Sigma and Business Performance Management. They are passionate about delivering a bespoke business strategy that ensures your business remains competitive, profitable and sustainable on a long-term basis. Their consultants are skilled at developing strategy, driving change, coaching high-performance teams, and introducing a Lean culture. Redefine consultants adapt their services to your business needs.